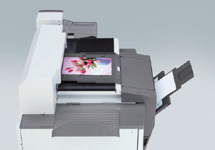 With the 12″ maximum paper width and variable paper advance technology, the Noritsu D1005 can make enlargements in sizes of 12×12″, 12×18″ and many other sizes right up to 12×36″. This enables you to offer products such as poster prints, locker prints, and just about any custom print size you can think of. light fastness and long-lasting colors. 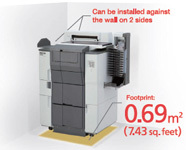 high capacity of 950 prints per hour (4R) lets you increase output without taking up valuable retail selling space. 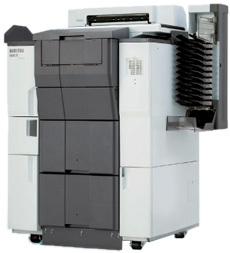 Advantages like these make the Noritsu D1005 a powerful tool for success. The Noritsu D1005 can be installed against the wall in 2 directions and its space-saving design makes it easy to install virtually anywhere! With a footprint of just 7.43 sq. feet you’re gaining maximum profit from minimum floor space. Maintenance is a breeze with the Noritsu D1005’s fast ink cartridge replacement in seconds. The 4 color dye ink system results in less solid waste and less inventory management. There are no photo finishing chemicals involved with dry systems, which means you do not have to worry about maintaining specified temperatures, handling and disposing solution, or other related troublesome tasks. 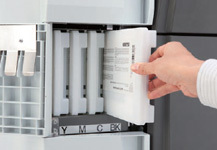 – The EZ Controller takes care of everything from printing to managing the orders. 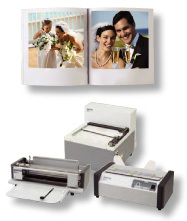 The graphic user interface is easy to use, even for beginners.This software equips the Noritsu D1005 with the same functions as QSS digital minilabs, handling everything from print order management to color correction of individual images. The EZ Controller simplifies your system’s operation and controls all the devices in your network, such as kiosks, film scanners and CD writers. * Calculated according to our criteria. The actual capacity you achieve may vary.